Handcrafted from select AAA furniture quality Red Oak! 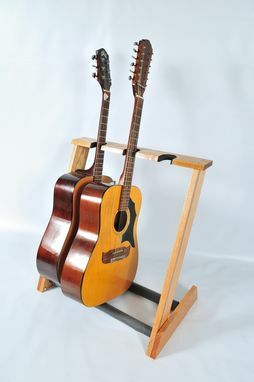 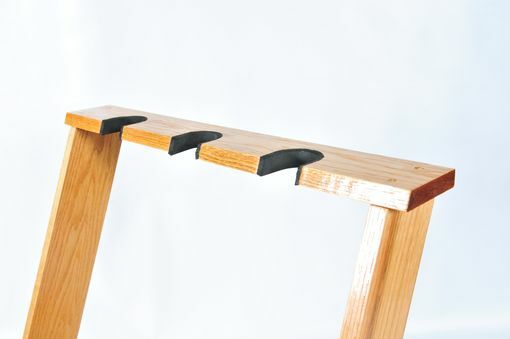 This stand will hold up to 3 acoustic or electric guitars. 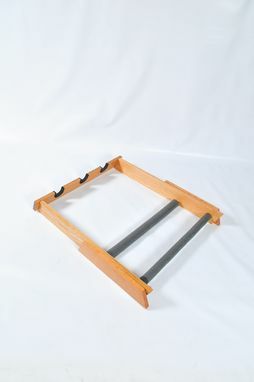 All contact points are fully cushioned and folds flat for easy carrying!